Flat-knit surface for supreme printing resolution. Soft feel with superior durability in a tank top. 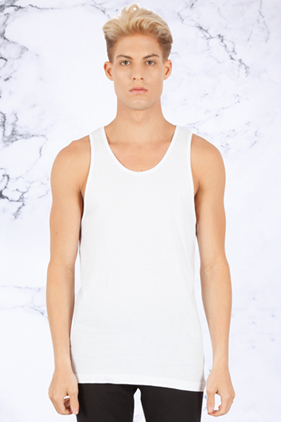 100% combed ring-spun cotton, 30 single 4.6 ounce premium fabric men's tank top. Shoulder to shoulder neck tape. Side-seamed. Pre-laundered fabric. Superb fit. Tear away label. South Korea fabric.